Nvidia, Intel and others will be big beneficiaries when -- not if -- demand for self-driving cars begins to accelerate. While the self-driving conversation is still tainted with negative news around Tesla's (TSLA - Get Report) Autopilot accidents and the Uber autonomous driving fatality that happened in March, there was good news this week. Along with the better-than-expected May jobs report, that's helped give an extra boost to some stocks. Alphabet Inc's (GOOG - Get Report) (GOOGL - Get Report) Waymo upped its partnership with Fiat Chrysler Automobiles (FCAU - Get Report) now purchasing more than 60,000 vehicles. Further, General Motors Co (GM - Get Report) received $2.25 billion from SoftBank as an investment in GM Cruise, part of its self-driving commercial ambitions. It's looking up for the autonomous driving industry -- even if consumers still don't realize how close we actually are to this Jetson-like technology becoming a reality. RBC analyst Joseph Spak had some talking points following the RBC Auto Tech Conference. His first note? "Scale is critical." Spak points out how important of a factor scale is by highlighting Tesla's recent production woes. The company has been plagued by slower-than-expected production numbers and plenty of quality-control headaches with the finished product. It's weighed on margins and drawn up crucial concerns over cash flow and the potential need of a capital raise. Spak also touched on robo-taxis, which many industry insiders consider Level 5 autonomy. In other words, a vehicle that effectively and safely takes itself and its cargo or passengers from point A to point B without needing any human interaction whatsoever. It's also raised the idea of whether car ownership will be necessary, given that a self-driving car could be summoned to a customer's location. Of course, commuters will still find the convenience of owning their own vehicle. Spak notes that the consensus -- presumably from the conference -- is that robo-taxis will "be here in ~2 years and only scale from there. Given the progress by GM, the planned efforts by Ford Motor Co and with Waymo's self-driving taxi service launching in Phoenix this year, it very much appears that that timetable is accurate. In fact, it could be a bit conservative. So Where Does Nvidia Come In? Spak says that "Lidar is a must" and that should benefit companies like Mobileye -- which is now owned by Intel Corporation (INTC - Get Report) . As many know, Intel is a principal competitor with Nvidia Corporation NVDA, a name that has burst onto the scene following the stock's more than 1,000% gain over the past 36 months. Alphabet and Nvidia are holdings in Jim Cramer's Action Alerts PLUS member club. Want to be alerted before Jim Cramer buys or sells GOOGL or NVDA? Learn more now. In any regard, both companies can be a winner in the autonomous driving race. Intel makes necessary chips and sensors -- with its EyeQ5 playing a role with some 8 million European cars in 2021. 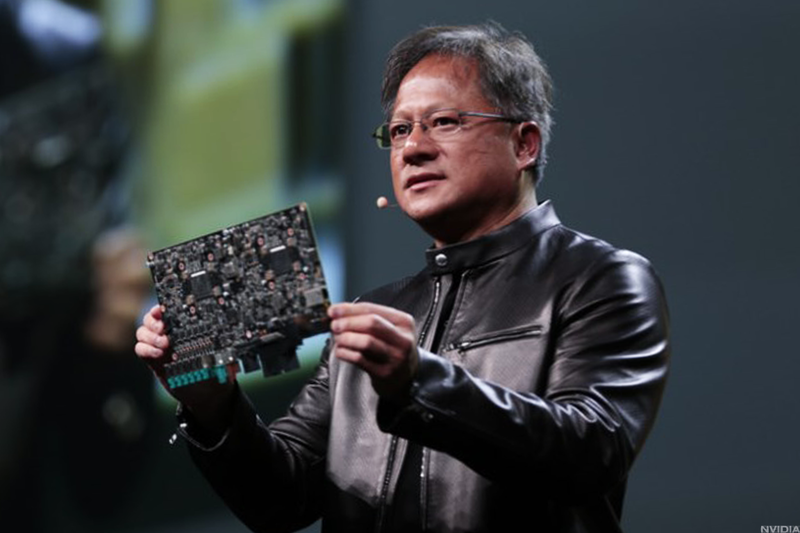 However, Nvidia has created multiple DRIVE platforms that actually makes autonomous driving a reality. Rather than trying to build the software for self-driving cars -- something seemingly every tech company is doing -- Nvidia is focused on the hardware. In my view, there are three main components to autonomous driving: Powering the system, developing the software and necessary equipment and testing the product. Because of the advances its making, Nvidia can provide all of the necessary tools for the list above. Its DRIVE platform gives an automaker or developer the immense power needed to run such a system, while its multiple sensors and computers can handle the tester's software. Finally, its latest DRIVE Constellation platform allows companies to test their system synthetically. So rather than risk the lives of pedestrians and drivers, companies can put their systems through -- not millions -- but billions of synthetic test miles. Scenarios that they can custom build and test within all while keeping more people safe and without putting an actual car on a public road. It's because of these solutions that Nvidia can and should be a huge player in the self-driving car business. Once Level 3 through 5 autonomous adoption becomes more mainstream, there will naturally be more demand. Whether it's a fully autonomous Uber taxi shuttling customers around or an Audi that has self-driving features, Nvidia will be one of the companies powering this effort. That's not to say that it will be the only winner, but as Spak's takeaway from the RBC conference shows, autonomous driving is gaining speed, not losing it.